20.) 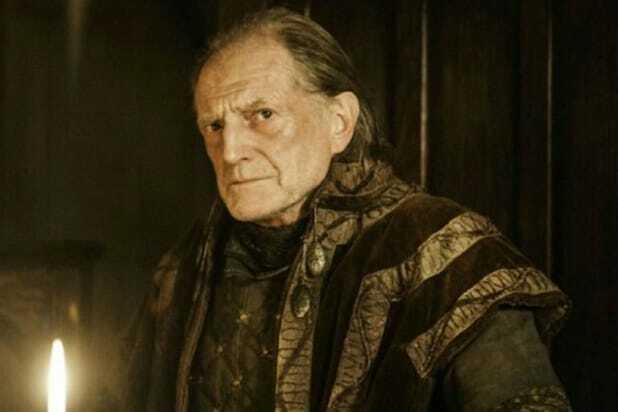 Walder Frey (Last week's ranking: not ranked) Lack of Ramsay leaving you with surplus bile? Don't worry, the creep who planned the Red Wedding is back, and he's planning to use Edmure Tully to retake Riverrun from the Blackfish. 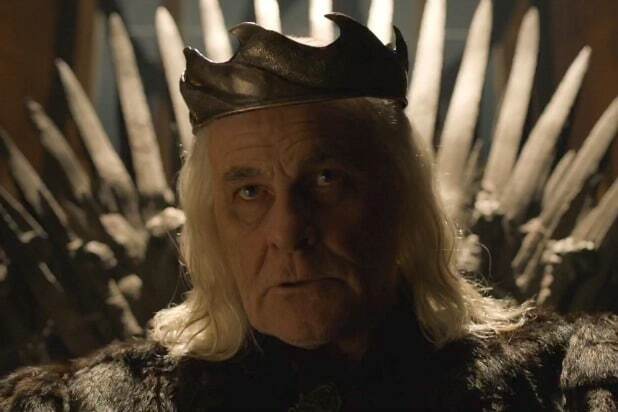 Until a sword finally goes through Walder's cold black heart, he gets a spot on our rankings. Also Read: ‘Game of Thrones’ 101: Remember Lord Edmure and House Tully? 19.) Samwell Tarly (NR) -- Sorry, Daddy Tarly. Your son has more guts than you'd care to admit. Like Ferris Bueller and Cameron Frye stealing the Ferrari, Samwell and Gilly have swiped House Tarly's Valyrian great sword Heartsbane for use against the White Walkers. Hope Sam knows how to swing that thing. 18.) Benjen Stark (NR) -- Bran's without his heavyweight buddy and his direwolf. He's a dead boy walking, right? Nope! In comes his dear uncle Benjen with a flaming mace to save the day. The man also known as Coldhands will have plenty of time to catch up with his nephew, as it now falls to him to get Bran ready to fight the White Walkers. Also Read: Did ‘Game of Thrones’ Prove a Benjen Stark Theory by Defying the Books? 17.) 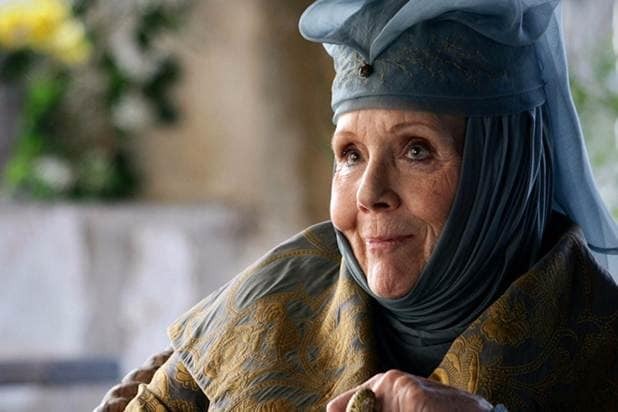 Cersei Lannister (10) -- "Our two ancient houses face collapse because of your stupidity," says Olenna Tyrell to Cersei in the preview for next week's episode. Indeed, Cersei's failed attempt to regain power sends her tumbling down our rankings, and now she has to rely on Jaime to find someone who can bail them out. 16.) Davos Seaworth (13) -- Davos takes a slide as he remains idle this week, but he'll be back next week to continue helping Sansa prepare for war. 15.) Brienne of Tarth (18) -- Brienne is currently en route to Riverrun to find Ser Brynden Tully, right as the Freys are planning to finish the job they started at the Red Wedding. Brienne potentially holds the fate of the Starks in her hands, and she may have to use both her sword and her words to bring the Blackfish up North to help Sansa reclaim Winterfell. Because of her newfound responsibility, she jumps in our rankings. 14.) Jorah Mormont (9) -- Jorah is off to parts unknown to find a way to cure his greyscale. Perhaps he will return to Meereen and find some help from Kinvara? He should act fast. 13.) Tyrion Lannister (12) -- Tyrion did not appear this week, so we have yet to see how exactly he's going to move forward now that Kinvara's around and the freed slaves in Meereen are becoming more resentful of him. Tyrion is walking a tightrope right now… but then again… when is he not? 12.) Petyr Baelish (14) -- Despite not appearing in this episode, Littlefinger jumps up a couple of spots for revealing last week that House Tully is making a comeback. Turns out he wasn't just trying to schmooze the furious Sansa. He was indeed giving her intel that could mean the difference between victory and defeat. 11.) The Waif (11) -- The Waif has looked down at Arya with disdain and swatted her silly with a staff. Now her belief that Arya's not fit for her assassin's order has been proved correct, she's going to make Arya pay for her failure with her life. 10.) Arya Stark (16) -- A girl DOES have a name! Arya realized that she's not about that Faceless Men life, refusing to kill her assigned target and realizing that even monsters like Cersei deserve some amount of sympathy. (And she's a flat-out fan of the actress playing Cersei in the stage-play-within-the- show.) Now she's got Needle back, and she's going to need it in her upcoming fight against the Waif. 9.) Yara Greyjoy (5) -- Yara's still on the run from the Iron Islands and was absent this week. On the next episode, we will see what her next move is and how she plans to include Theon and his desire for revenge against Ramsay in her grand schemes. 8.) Jon Snow (8) -- Another idle character. Jon stays where he was ranked last week, but next time, we'll see Jon finally get up and try to rally the wildlings for battle with Tormund's help. After Olly's betrayal, maybe some trust from the people he was once told were his enemies will help Jon reclaim his fighting spirit. 7.) Margaery Tyrell (NR) -- Doesn't it seem rather odd that Margaery is suddenly so faithful to the High Sparrow and the Seven after seeing her urge Loras to keep fighting? No, she knows exactly what she's doing. Marge is pretending to follow the High Sparrow to protect Loras, all while manipulating the Faith Militant, the Lannisters -- and even her own grandmother. 6.) Euron Greyjoy (3) -- Euron got high marks last week for taking control of the Salt Throne, but he will slowly slide down the rankings until he strikes back at Yara for taking his fleet. It may take time for him to build up the resources to do so. 5.) Ramsay Bolton (4) -- He's missing again for the second straight week, but only drops a spot because of all the power and evil he has accumulated up to this point. We may not see Ramsay again until he and Jon do battle. 4.) Bran Stark (6) -- Yes, it does seem that a connection is being made between Bran's powers and King Aerys' madness. Now that his long-lost uncle has taken over as his mentor and guardian, maybe Bran will actually listen to his elders for once and use his powers to help fight the White Walkers instead of aiding them and allowing them to kill fan-favorite characters. Also Read: ‘Game of Thrones': Did Bran Stark Cause the Mad King’s Downfall? 3.) Sansa Stark (1) -- Sansa remained idle this week, but only drops a couple of spots because her decision to send Brienne to Riverrun is proving to be a crucial one. In next week's episode, she'll be back to plotting against Ramsay. 2.) High Sparrow (7) -- It seemed almost certain that Marge's penance walk was going to end in bloodshed. Instead, the High Sparrow shuts down the Lannister coup with an easy smirk. Now he has Tommen completely on his side, but someone might want to inform him of the dangers of failing to separate church and state. 1.) Daenerys Targaryen (2) -- Some may be sick of Daenerys' constant locker-room speeches, but just look at Drogon! He's healed up and even bigger now, and if Tyrion's info about dragons is true, Drogon won't stop growing. The time may finally be near for Dany to actually start doing something.